Do you ever find yourself humming while changing a diaper? Or making up a silly song about airplanes as you are circling your toddler’s mouth with a spoonful of smashed peas? And why, you ask? It’s the power of singing! As a mother to four beautiful daughters and an Early Literacy Programmer for the Edmonton Public Library (EPL), I find music to be almost a second language. Putting a melody to everyday chores can have a Mary Poppins-esque effect. “Clean up, clean up, everybody everywhere!” will inspire tidiness. Need to get boots and mitts on? “This is the way we…” Need to keep little ones busy? “Old MacDonald had a farm…” . There’s a song for every situation and need. Much of the learning how to read or even speak is rooted in musical concepts, and as parents, you already teach them naturally to your children. Music provides a rich basis for memorization, association and long-term recall – as well as making learning ridiculously fun! Nursery rhymes, camp songs, rhythm games and dancing are only the beginning of the fun that families will be able to take home with them to use to bond together well into the future. But what if I am not a good singer? 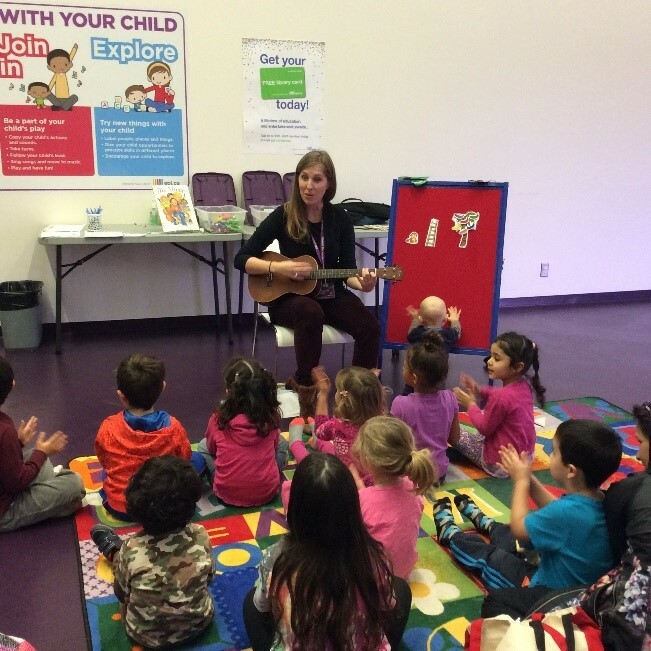 The Edmonton Public Library can provide some excellent support for you and your family to explore the magic and fun of singing together. Explore the great selection of musical books with the EPL Picks – Sing a Book! yours with a free library card! You can also borrow children’s albums on CD or song tracks available through online streaming using Freegal and Hoopla. AND what about those burgeoning 4 to 6-year-olds who can’t contain their energy and need to move, move, MOVE? Children can move, sing and dance their way to reading, writing and story-telling at EPL. Join us this fall for Music Makers: Sing Yourself Silly. 4 to 6 year-olds will have a chance to participate in action songs, dancing and be introduced to basic musical concepts such as beat, rhythm, pitch, tempo and dynamics. Don’t miss out - drop by EPL and get your song on!